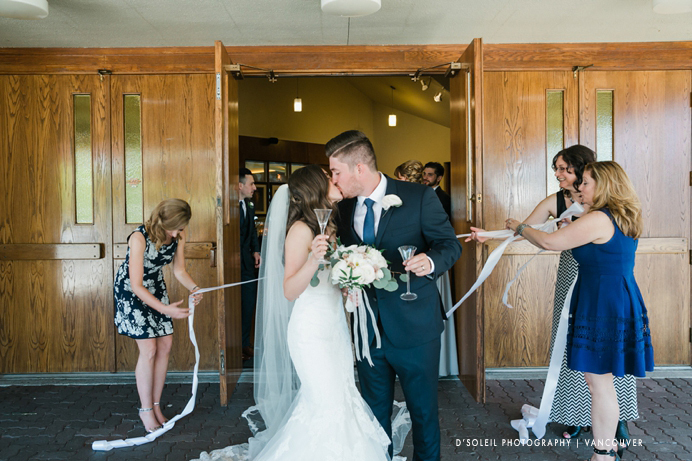 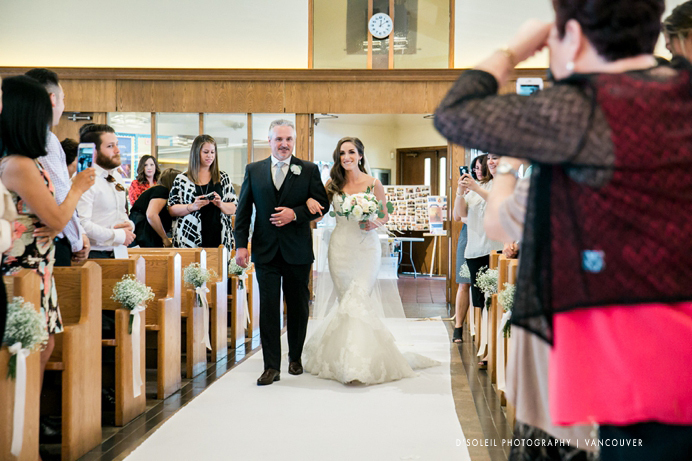 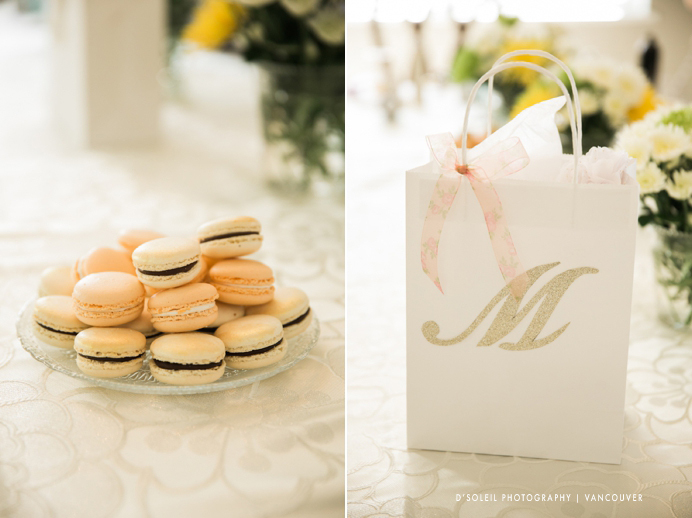 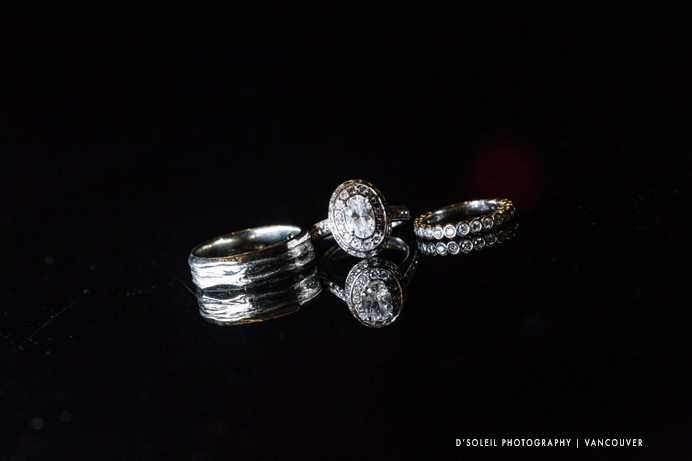 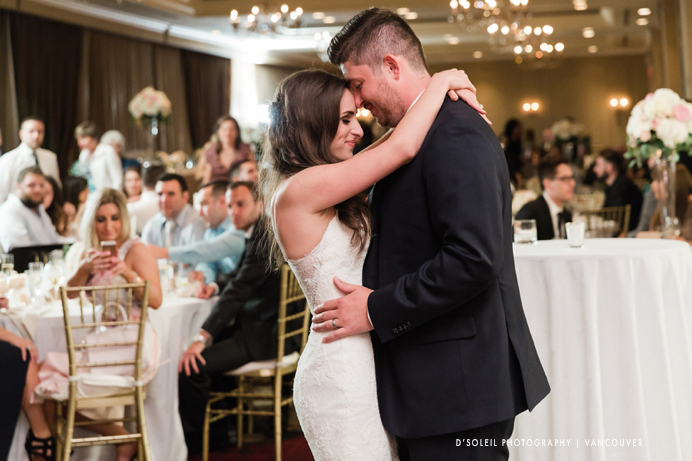 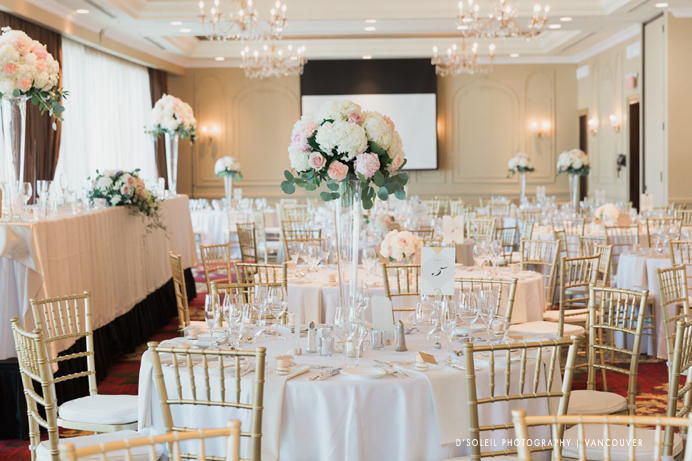 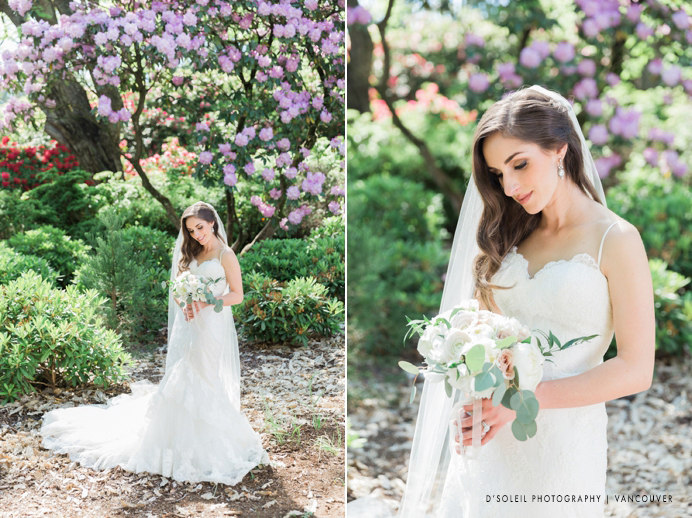 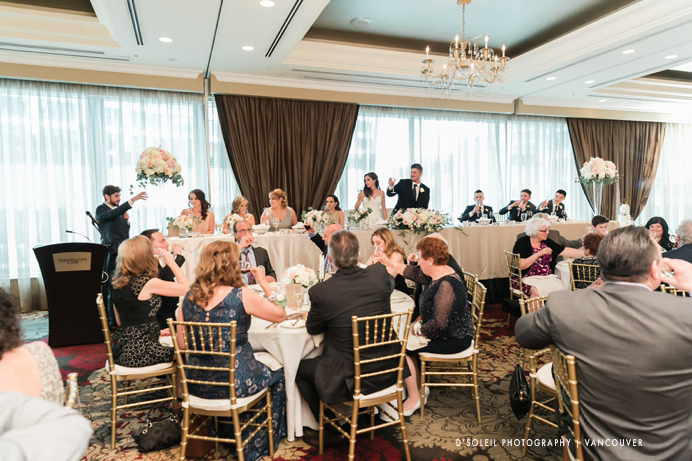 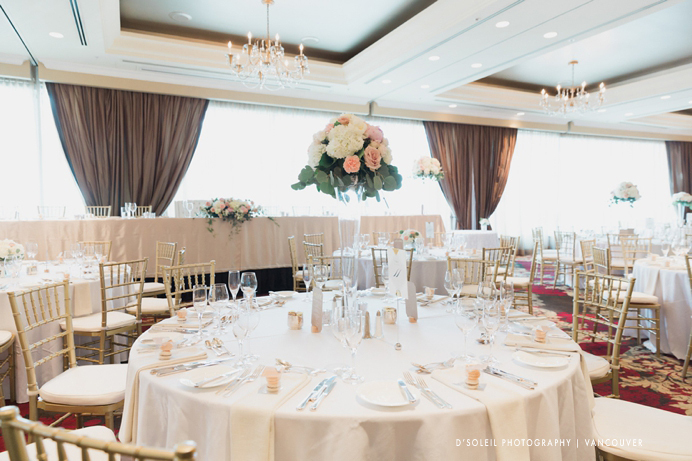 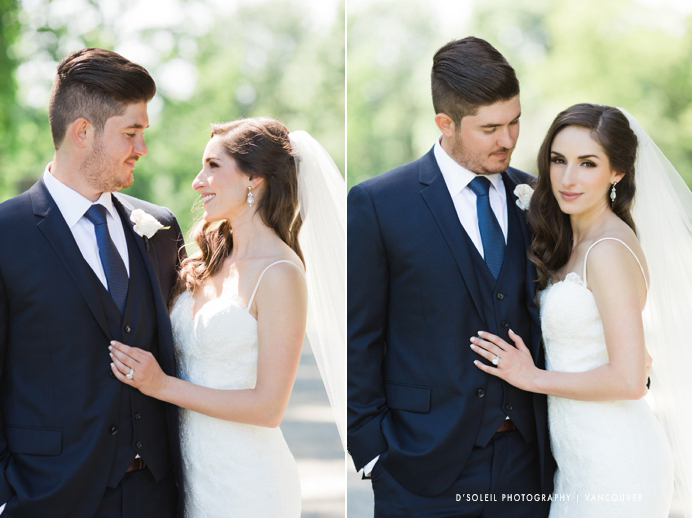 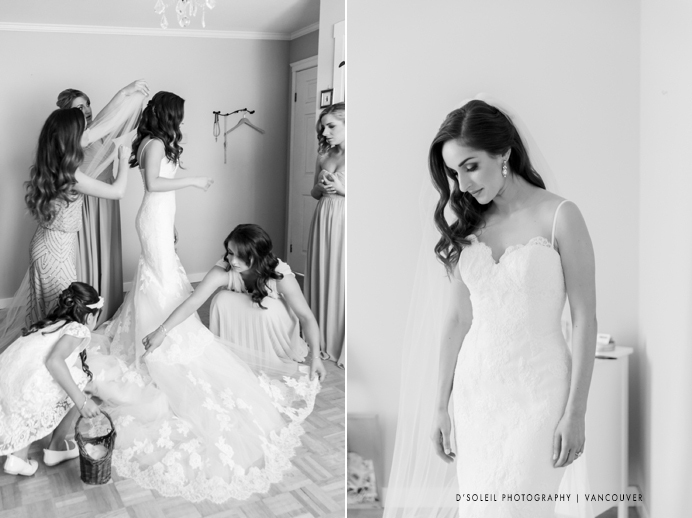 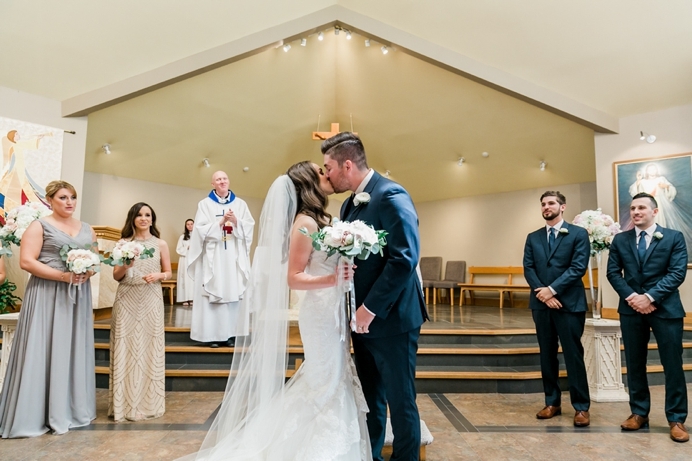 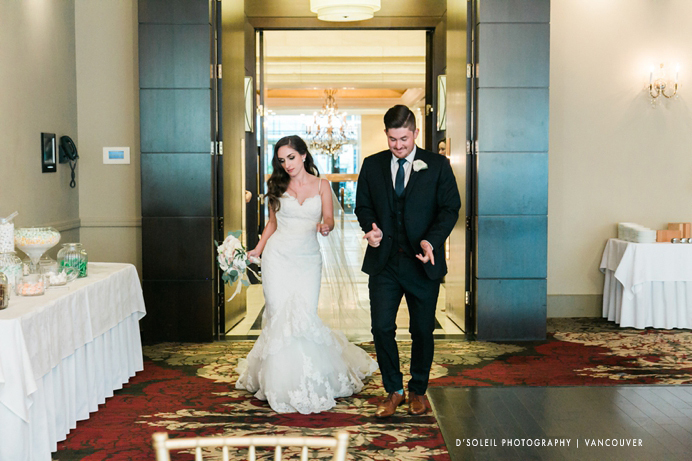 This past Spring, we had the honor of photographing a Christina + Chris beautiful Terminal City Club wedding. 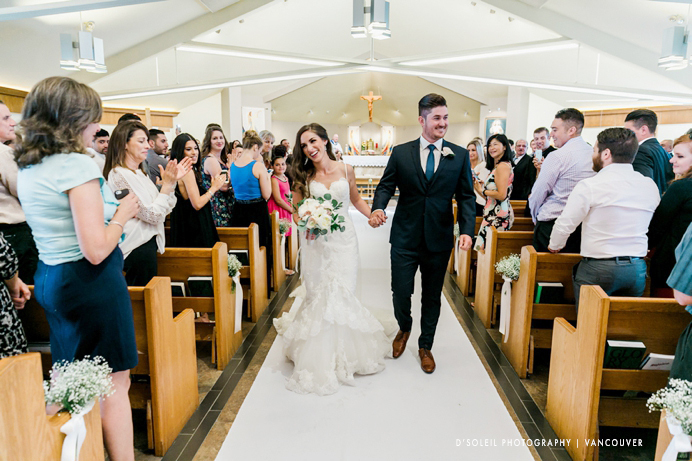 The day started at home, getting ready with the ladies before leaving for Holy Cross Parish in Burnaby for their Catholic Italian wedding ceremony. 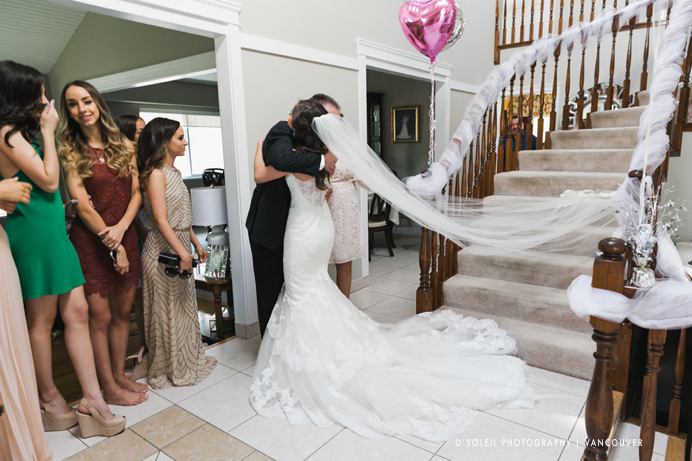 One of my favorite moments was when Christina made her way downstairs to her awaiting family. 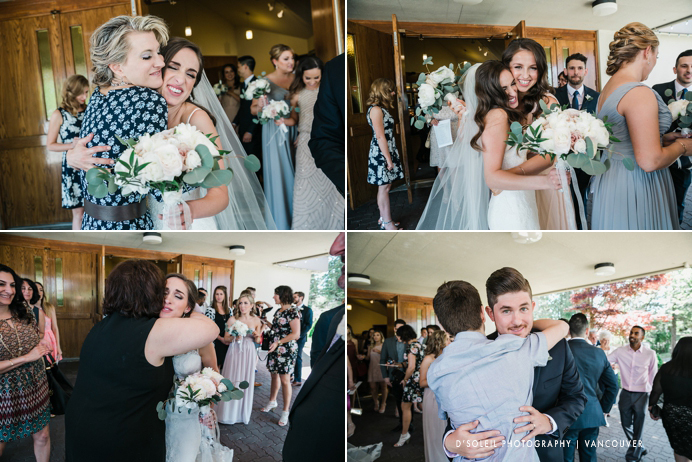 It was such a touching moment for her parents and close family members. 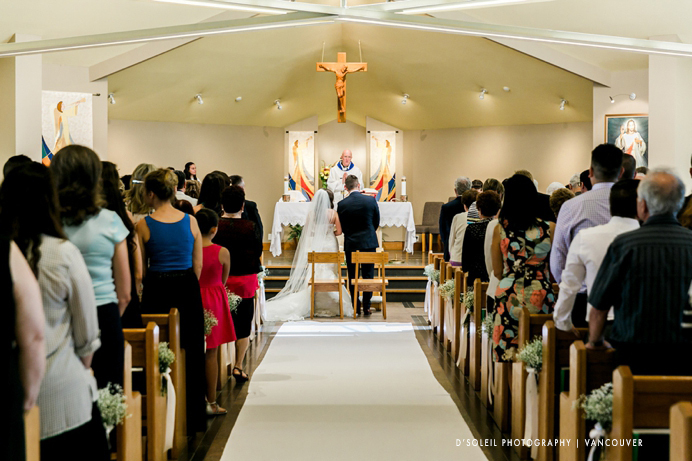 Meanwhile, Chris waited at Holy Cross; preparing for Christina to arrive for their church wedding ceremony. 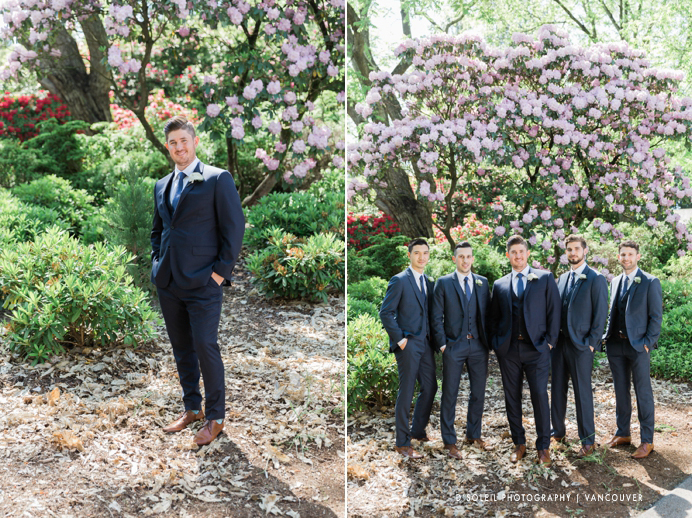 Following the family photos at the church, we drove to nearby Deer Lake Park in Burnaby for photos on a cool Spring afternoon. 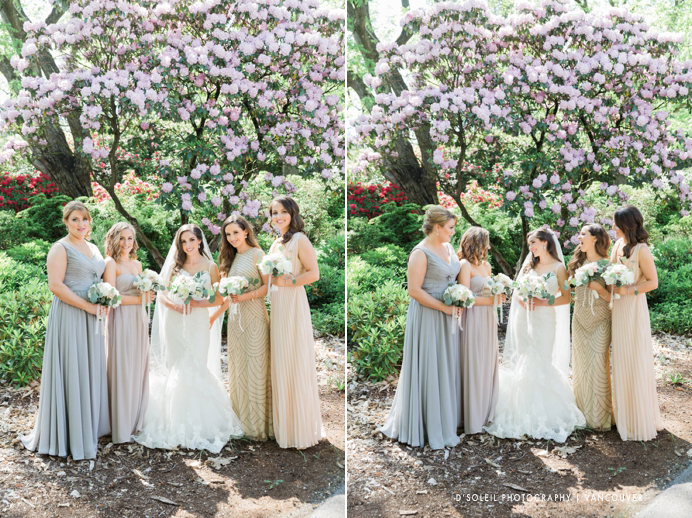 It was the season of bloom, and we found great colours in the park that day with the wedding party. 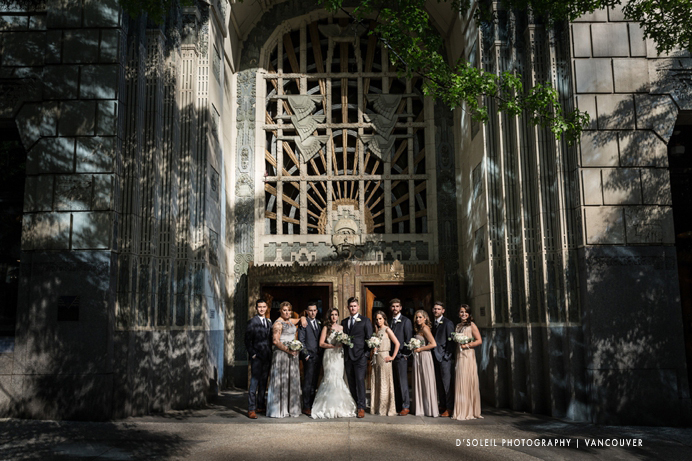 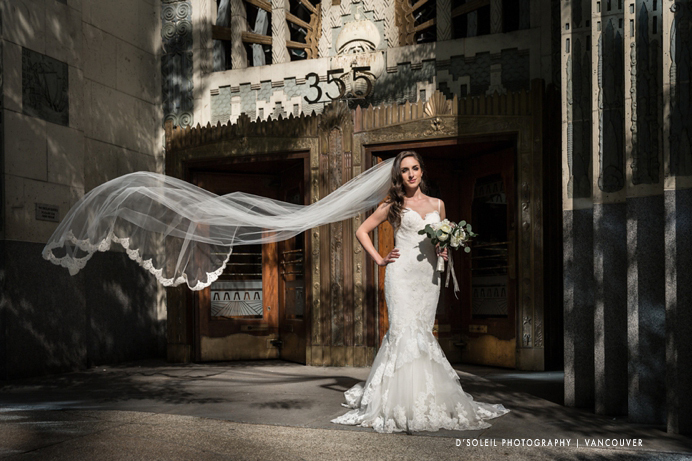 We later drove to Terminal City Club and walked over to the Marine Building for photos. 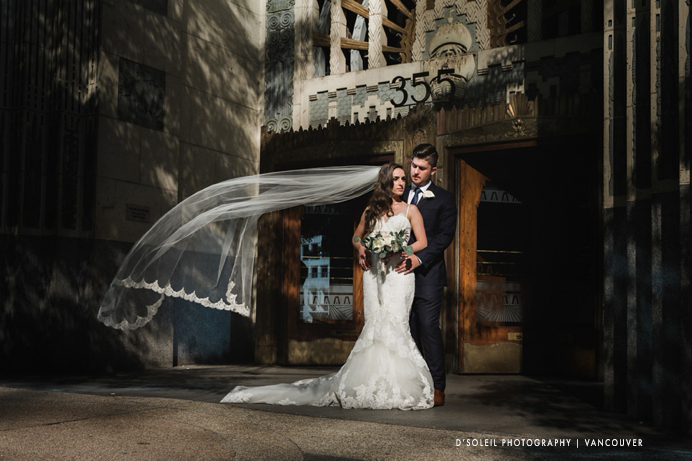 The beautiful mix of light and shadow made for a perfect dramatic scene for photos of the bride and groom. 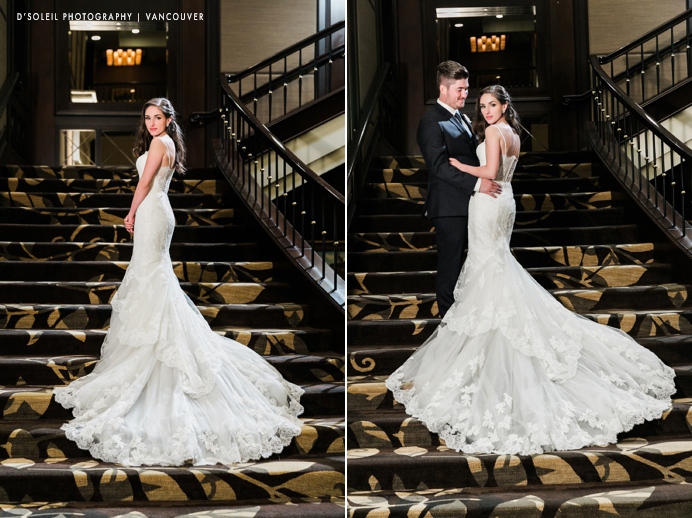 In the evening, we took photos on the Terminal City Club’s grand staircase, a must-do for weddings at the iconic Terminal City Club. 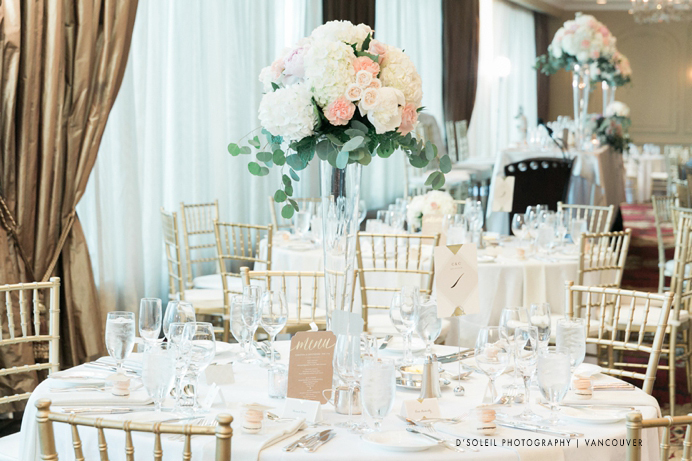 As always, the Terminal City Club looked amazing with table settings and beautiful floral centerpieces. 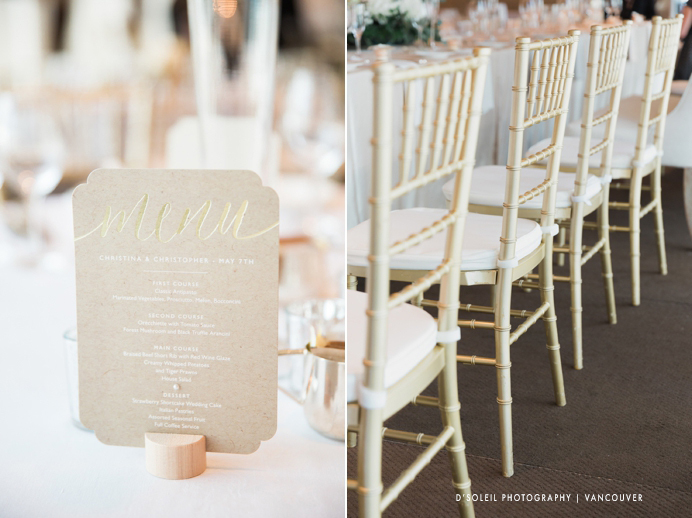 Another great touch are the gold chiavari chairs. 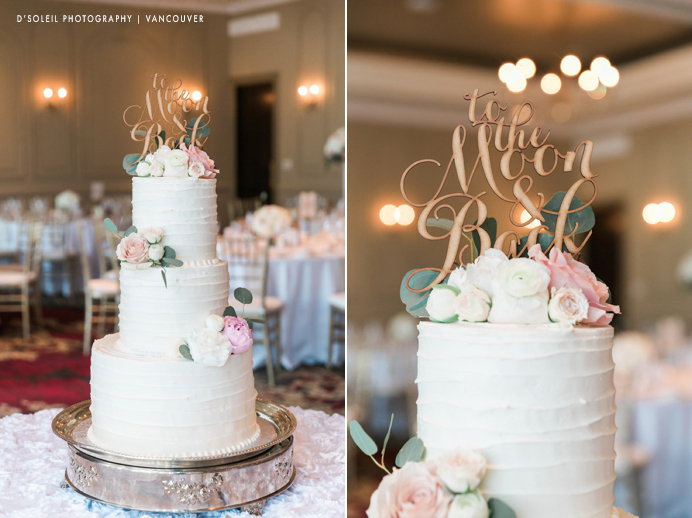 Their cake topper, “To the Moon & Back” was the perfect motto for their relationship. 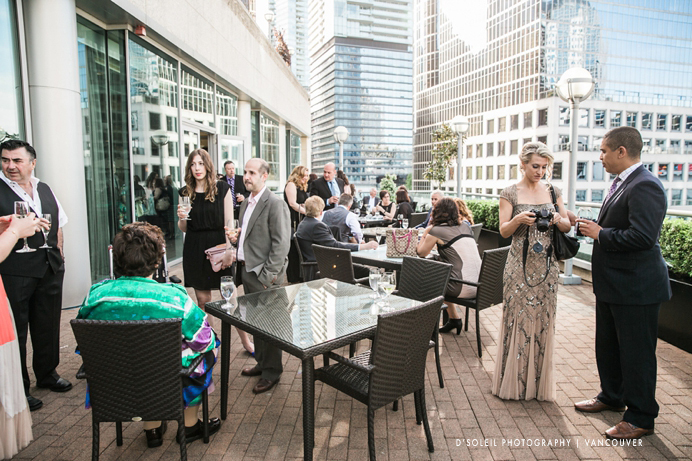 While we took photos downstairs, wedding reception guests enjoyed drinks upstairs on the Terminal City Club patio. 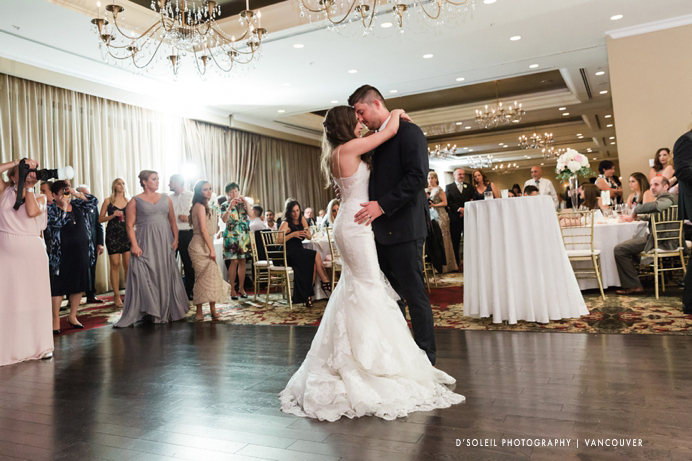 After an Italian plated dinner served by the TCC staff, it was time for the first dance in the ballroom. 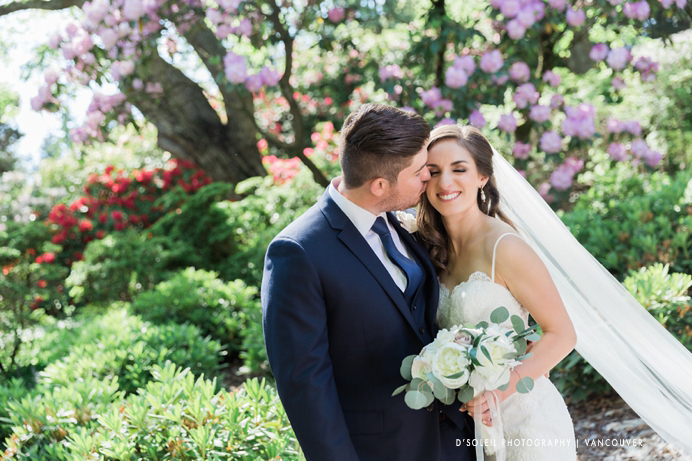 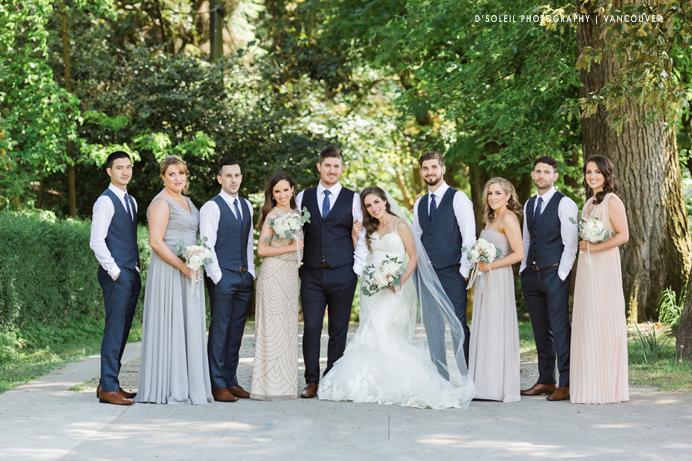 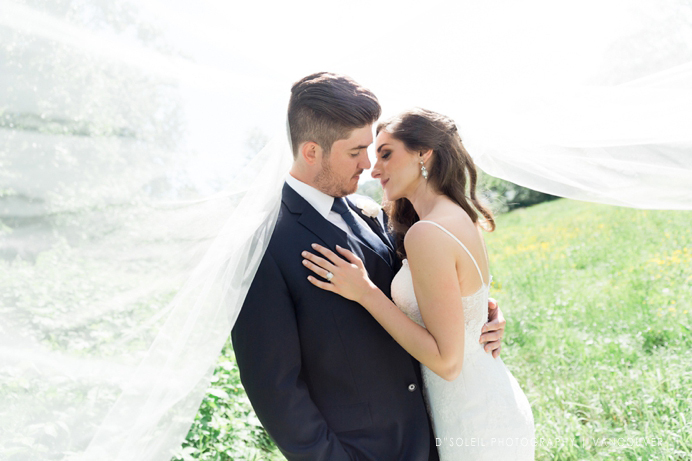 Congratulation again on a beautiful wedding day Christina & Chris!